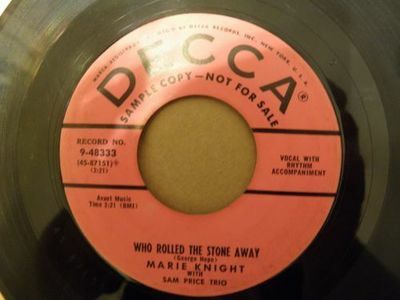 "Who Rolled the Stone Away"
Condition: Plays well. Sound clips are from actual disc being offered. Visually, vinyl only so-so/vg (lots of light surface marks, but nothing too serious). Nice labels. See photos. Please contact me if you have any questions. Thanks for looking!